This last weekend, (Saturday, specifically), I went with my wife's family to tour some graves in a cemetary that my wife hadn't been in for 35 years or so. We saw Sally's mother's mother's family. 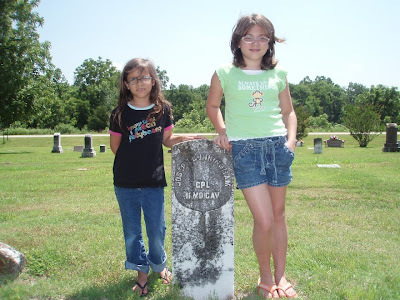 The picture I have above is of Audrey and Emily standing at their great-great-great grandfather's grave. 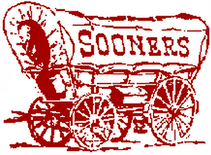 He had been a corporal in the Missouri Second Calvary.